We're honored to be named a Top Workplace for the fifth year in a row! 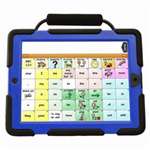 Check out our new website dedicated to our speech generating and communication device division. Giving you the technology to be heard and a dedicated team to assure your greatest potential. Our mission, vision, and values are what define each and every employee here at Monroe Wheelchair and what motivates us every day in creating better lives for our customers. Whether one of our highly qualified Assistive Technology Professionals comes to your home, clinical setting, or you visit one of our showrooms in Rochester, Syracuse, or Albany, New York, our goal is the same. Through unparalleled customer service and the highest quality mobility products we will provide each customer a better life, better health and more independence. Creating Better Lives; that’s our mission at Monroe Wheelchair. We offer a full line of pediatric and adult manual or power wheelchairs from top manufacturers, as well as walkers and scooters. 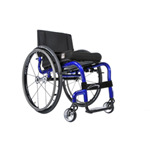 Our specialty is Complex Rehab Technology (CRT) which is individually configured and custom designed complex wheelchairs. Should your equipment need service; you can count on our certified repair department to get you on the go again. 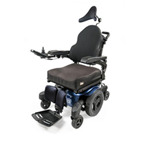 Monroe Wheelchair also carries a variety of medical equipment to make life easier and safer within your home. See the experts at Monroe Wheelchair for patient lifts, bathroom safety products, hospital beds and more. Trust Monroe Wheelchair’s years of experience to help you find the home medical equipment you need and the expert knowledge to show you how to get the most benefit from each piece of home medical or mobility equipment. Monroe Wheelchair has recently partnered with the leading manufacturers of Speech Generating Devices (such as Tobii ATI and Saltillo) to provide customers with speech and language difficulties the ability to communicate again. From the unparalleled accuracy of an eye gaze tracking systems, to the robust capabilities of the latest tablet devices, let one of our Monroe Speech Design team members help you or a loved one reach new levels of communication. Browse the Monroe Wheelchair’s Online Mobility Catalog for more information on the home medical and mobility equipment offered.